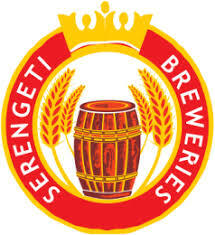 Serengeti Breweries Ltd (SBL) operates exclusively in Tanzania and is the 2nd largest beer company with a market share of 27%. It is an integrated demand/supply business with 3 operational breweries in Dar and Mwanza, and a third one in Moshi, which is situated in the northern part of the country near the Kenyan border. SBL’s flagship brand is Premium Serengeti lager, which accounts for 50% of SBL sales volumes. The other beer brands are Tusker, Tusker Malt Larger and Pilsner. This role will interface with all the departmental heads, cross functional BPM and BSC teams across the Group Companies, CARM leads within the business, external auditors and some suppliers. • Engage with Managers in business to ensure Decisions are made with a full understanding of the financial implications. 2. Track monthly distributor trade spend vs. plan. 3. Track Advertising & Promotions expense vs. plan working closing with Marketing & Sales. 5. Coordinate/Consolidate submissions of A&P planning and R&O files working with marketing and sales to challenge and build assumptions. 10. Support the development of financially robust Marketing Business Plans. 11. Provide financial and commercial input to Investments and Resource allocation decisions. • Proven ability to persuade, influence and build credibility cross the functions.